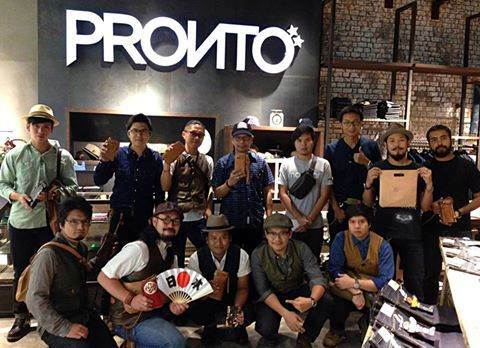 Pronto Denim would like to extend an invitation to all our fans to join a gathering of denim lovers held on the 30th of November at Parc Paragon in Bangkok, Thailand. Meet the people behind your favourite brands: The Flat Head, Nudie Jeans Co, The Unbranded Brand, Imperial Brand Clothing, Lightning Magazine, Naked and Famous, The Real McCoy's, R. J. B, Stevenson Overall Co, Syoaiya, Tenjin Works, Japan Blue Jeans, Iron Heart, Freitag and Fullcount. They will be joining us with exclusive one-of-a-kind collaboration items, new product launches and special games and giveaways for attendees. This is an all-day one-day event and the entrance is free! Join us in celebrating our 8th anniversary at the 3rd Annual Denim Carnival.